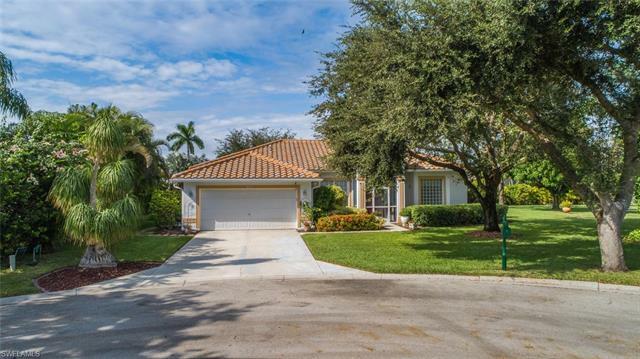 Relax in comfort and privacy in this move-in ready adorable home...Located at a quiet cul-de-sac lot with plenty of room for a pool, where you can enjoy the vivid western sunsets and the gracious appointments of this Marco Island Waterways model. Custom window treatments are in every room, flooring is tile and wood laminate, and the kitchen incorporates granite and stainless appliances. Stay cool with a new HVAC system and ceiling fans. The roof was replaced in 2013. Waterways of Naples provides a storage lot for RVs, commercial vehicles, etc., not offered in other neighborhoods. Enjoy HOA amenities that provide Xfinity Internet/TV fiber optic cable with DVR & more, plus a tiki hut with grills, community pool, clubhouse, tennis and pickle ball, volleyball, tot lot, basketball, horseshoes, and more. Nearby are Publix, Sheriff's Stations/EMS/Fire Dept., 3 schools K-12, and a charter school. A county park is planned nearby. Waterways is a short drive from Arthrex, Ave Maria, & several public golf courses. Shown by appointment only.